We are instrumental in bringing to you a wide range of high quality Bevel Gears. 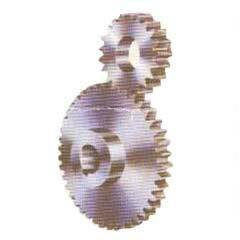 Utmost care is taken to design the Bevel Gears with quality material. The Bevel Gears finds wide use in Conveyors, Material Handling Equipments, Car Parking Systems, Cable Machineries and Air Handling Unit. The Bevel Gears can be acquired by our clients at leading market rates.